Sasha Yozik is a designer based in Prague. She creates lamps shades from idea to realization. Inspired by Japanese minimalism and geometry, the lamps shades are hand-made in three sizes, quality of Italian paper and transparent plexiglass. 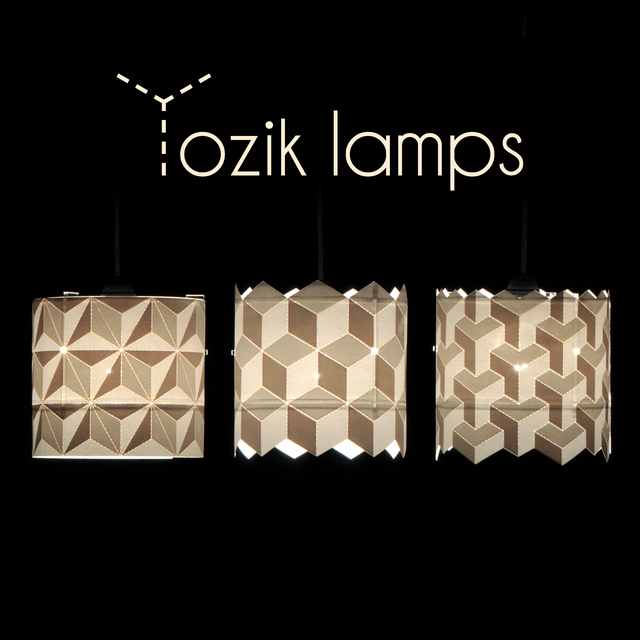 Just turn on the light and the shade reveals its secret - a geometric pattern with a 3D effect.